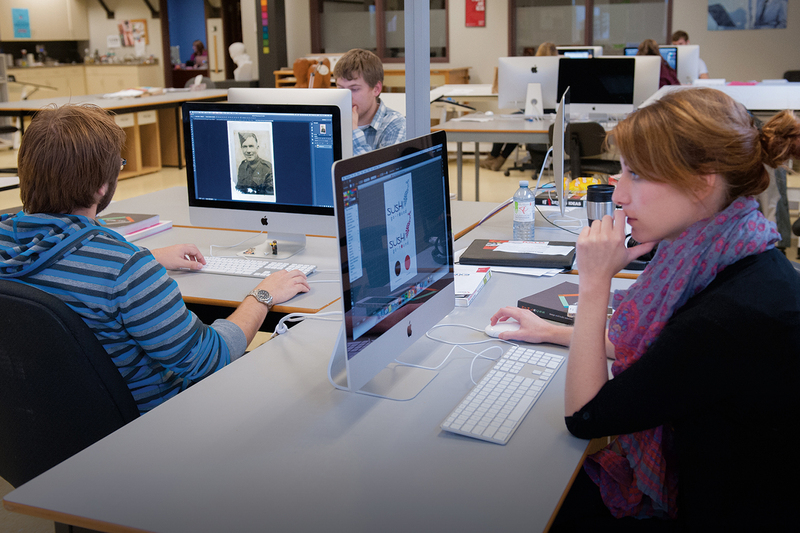 Holland College’s Graphic Design program is hosting a professional development day for graphic designers and creatives from around the region on Saturday, September 30, on the Prince of Wales Campus in Charlottetown. Viva is a frequent cover artist for The New Yorker magazine and his first book, published by Little, Brown (New York), was a New York Times 10 Best Illustrated Children’s Book selection. His fourth book, Young Frank, Architect, was the first picture book ever created for The Museum of Modern Art’s publications department. Translated from the original English into ten languages, it has gone on to win recognition from American Illustration, AIGA, Communication Arts and has been cited on many Best of 2014 lists. His first full-length novel, Sea Change, came out in 2016. The Globe and Mail and Toronto Life magazine included it on their most anticipated spring books lists, and Publishers Weekly gave it a starred review. Recent lectures and presentations include The Museum of Modern Art (New York), the Apple Store (Grand Central Station) and Oakland University. DotGain participants will meet talented, award-winning designers, connect with the local and regional graphic design community, find out more about emerging trends and opportunities, and learn new skills. Keynote speakers Frank Viva, managing director of Viva and Co., and Shawn King, chief creative officer for Arrivals + Departures, will talk about their experiences and discuss the challenges of design today. King is an agency partner with more than 25 years of experience. His stewardship has evolved into a unique, finely-tuned style that encompasses the best the industry has to offer. Widely recognized and highly regarded both nationally and internationally, King’s passion for creativity, common sense and drive continue to push his agency forward toward new and exciting horizons. In the afternoon, participants will be able to attend interactive sessions and workshops in UI & UX Design, Personal Branding, Self Promotion, Client Communications, Print Making, and/or Motion Graphics. Professional graphic designers, students, and interested members of the public are welcome to attend. DotGain is sponsored by the Advertising & Design Club of Canada, Holland College, and Kwik Kopy. For more information or to register for DotGain, visit dotgain.ca, email April Condon at ajcondon@hollandcollege.com or call 902-566-9526.